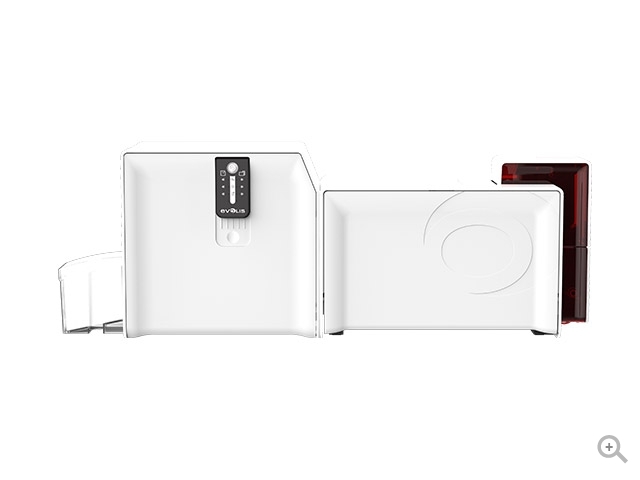 The CLM is the ideal module to laminate ID cards. The cards made can be used for up to 10 years1 and are extremely difficult to forge. 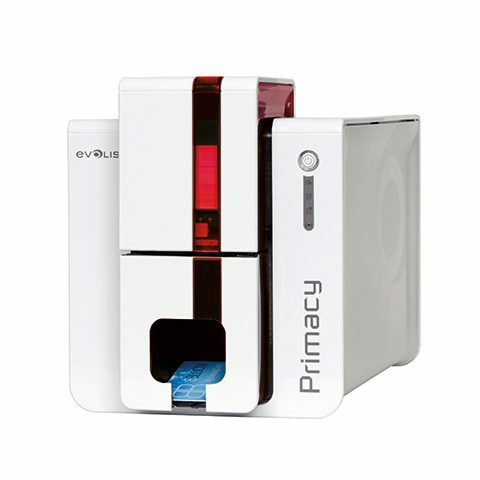 Developed by Evolis, the CLM (Card Lamination Module) is associated with the Evolis Primacy printer and is an all-in-one system for printing, encoding, and laminating cards that need to be secure and/or protected. 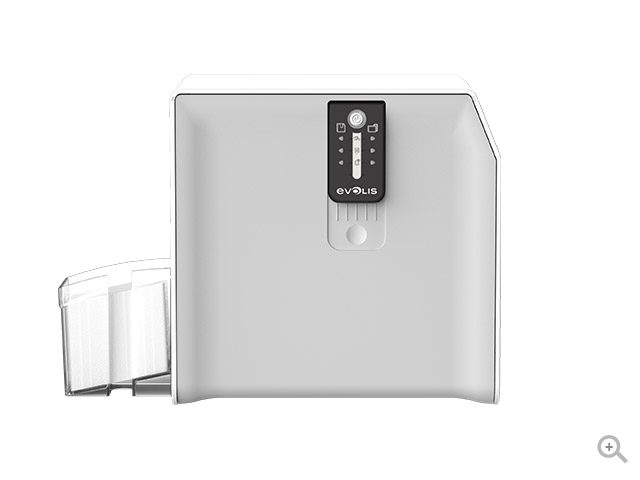 The CLM can also operate in standalone mode and with card-to-card insertion. 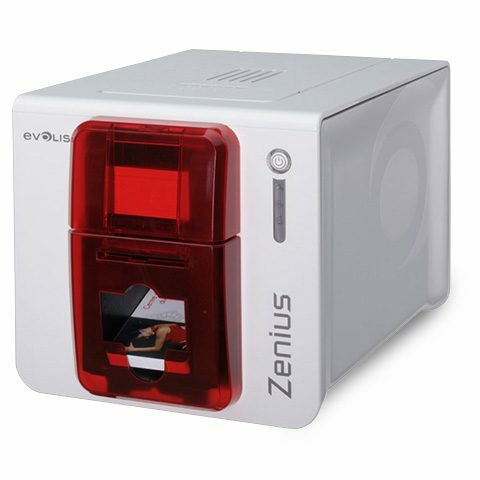 You can secure and/or protect cards préviously printed in D2T2 with any printing system. 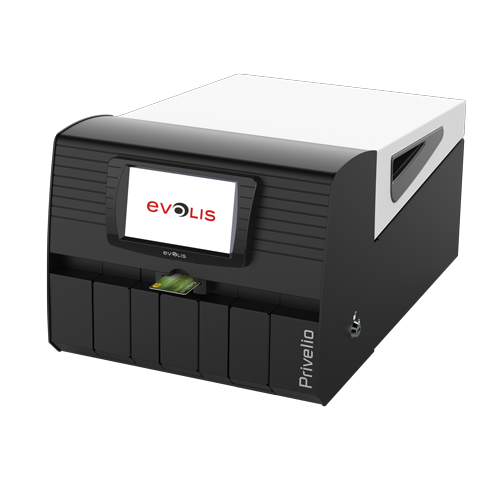 The CLM module is easy to use and can be used in a standalone mode or associated with a Primacy card printer. The CLM also connects directly to a PC (in standalone mode) via an USB cable. The films are installed intuitively and all the laminates are automatically recognized by CLM and Primacy. The CLM connects directly to a PC via an USB cable. It is automatically recognized and operated by the computer. 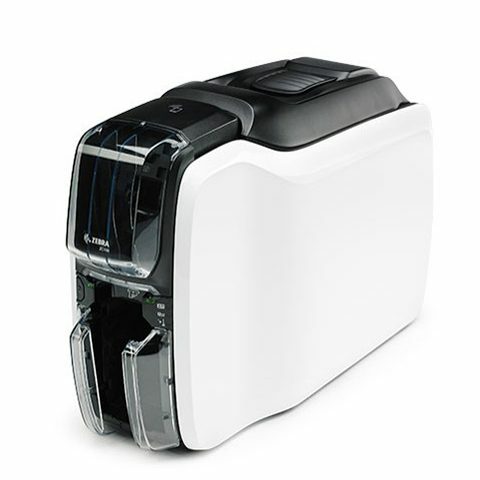 The CLM is connected to the Primacy printer through infrared, forming a single system. There is no need to replace your printer. 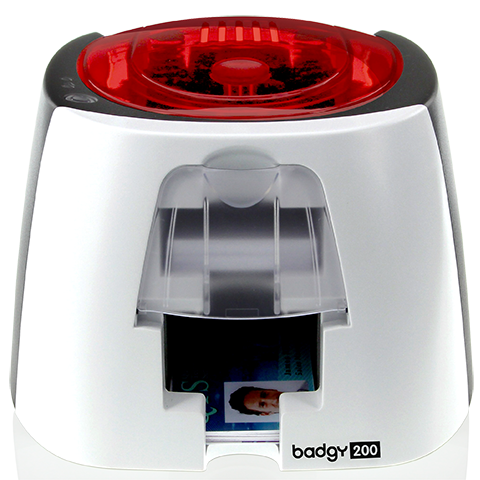 It can easily be equipped with a lamination station2. Our team can develop personalized laminates on demand and as part of a specific project. CLM and Primacy encode the cards (magnetic stripe, contact or contactless smart cards), print them in D2T2, and laminate them in single or double side in a single session. The printing and lamination modules work in parallel and produce up to 215 printed and laminated single-sided cards or 110 double-sided cards per hour. 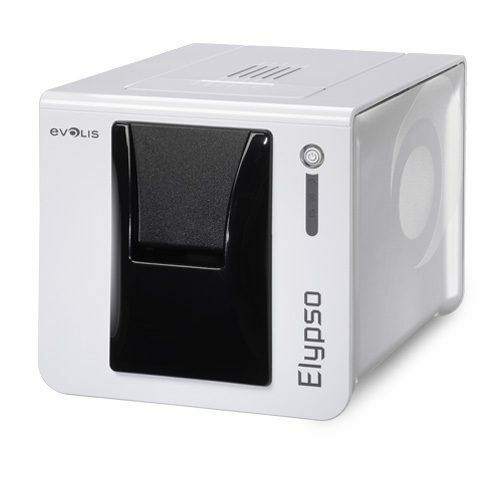 To maximize the quality and durability of printed cards, the lifespan of the print head and lamination module reliability, use Evolis High Trust® films.